DUALITY will feature the work of myself and painter Meg Dinsmore Talbot! The opening is Friday, August 30th from 6-8PM at the Laura's Center for the Art located at 97 Mill Street in Hanover, MA. This event is all ages and children / family friendly and I hope to see you there!!!!! I have some very exciting news to share. 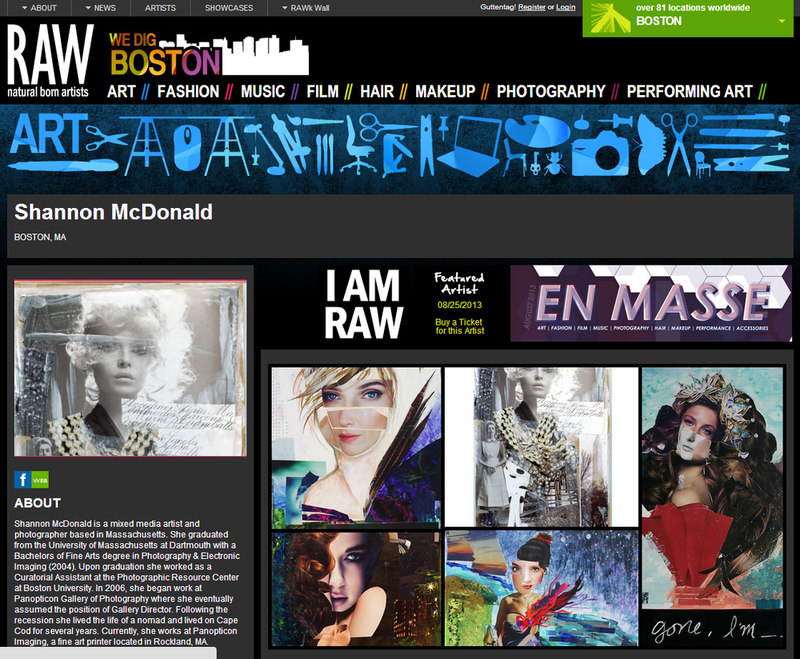 I have been selected to be part of Raw Boston's show called En Masse on August 25th!!!! RAW's mission is to provide up-and-coming artists of all creative realms with the tools, resources and exposure needed to inspire and cultivate creativity so that they might be seen, heard and loved. RAW educates, connects and exposes emerging artists in over 60 artistic communities across the United States, Australia, Canada and the U.K. through monthly showcase events. Join us in celebrating the work of these artists. I hope to see you at this fun and exciting event! Thank you for supporting my dream of being an artist!!! Join me Thursday, August 15th from 4-8PM to celebrate Art is for Everyone. 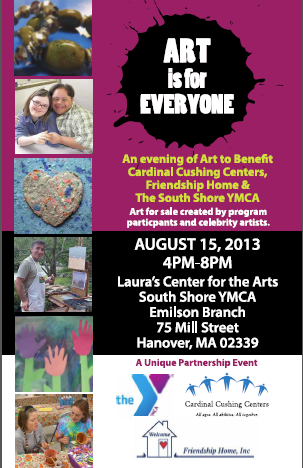 Art is for everyone is an evening of Art to benefit Cardinal Cushing Centers, Friendship Home & The South Shore YMCA. The events will take place at Laura's Center for the Arts at the South Shore YMCA located at 75 Mill Street in Hanover, MA. From 4-6pm there is an outdoor festival where you can enjoy BBQ food and interactive art stations lead by artists and include painting, beading and more! From 6-8PM there will be a cocktail reception and Celebrity Paint off! Also, 3* Artists will be on hand creating art for Live Auction and you could take a piece home with you! *You can take home a Shannon McDonald original as I will be creating art that night for the auction. Stop by and enjoy a wonderful night and watch me while I create and original piece for the Auction.